The sales life cycle has changed dramatically with the popularity of digital marketing. There was a time not too long ago where closing the deal and sending a thank you card was the final steps; that was until you were ready to sell to the client again. Today, businesses are building relationships for long-term engagement. With branding being at the forefront of marketing, companies are actively grooming their clients to become avid brand advocates. We’ve heard of engagement in the form of viral reviews, where brands encourage consumers to share their experiences about the business. This new level of advocacy takes engagement one step further to improve the overall customer experience for every shopper. Continue reading to learn why you need to engage customers in brand advocacy for your business. Brand advocates are not just customers who are loyal shoppers because they like what you offer. Advocates have a stronger relationship with your brand. They want you to succeed, and they want to be a part of that success. In brand advocacy, the advocate is invested in helping promote your product or service. Companies like the idea of having advocates for simply getting customers to engage on social platforms using costly media ads. Plus, advocacy often leads to greater lead generation. It has been shown that consumers respond to recommendations of other consumers over some marketing techniques. 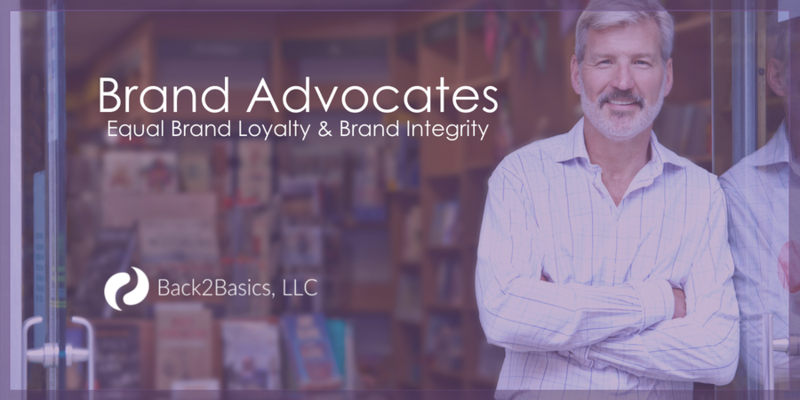 When it comes to brand advocacy there are two types of advocates businesses should focus on… consumers and employees. Consumers (or customers) are important because they are usually hiding in plain sight. Most businesses never realize their customers are advocates because they don’t know what to look for. Once you’re trained to spot an advocate, you’ll realize they have been there all along. You’re looking for those customers and clients following your brand on social media or engaging in feedback within other business registry and review sites. They like, comment and share your content with their sphere of influence online. And, when someone needs a product or service you provide, these advocates will share a link to your website, social media page or business registry listing. Simply put, their engagement is an endorsement for your brand and exposing it to all of their social media connections. The people who work for your company are the most familiar with your brand. If they clearly understand your objectives and are proud to represent your business, they make awesome brand advocates. To have employees representing your brand in a positive light throughout the community and social media is a huge plus. It says a lot about the mission and spirit of your brand when an employee, team member or associate is willing to talk about your business in a positive light or share opportunities of your business with their sphere. When people are willing to promote your product or service without any expectations, it is the sign of strong advocacy which is relative to trust and brand integrity. This is the ultimate in brand marketing success. So! What is brand loyalty? And, how do you put brand loyalty into action? Before someone can become an advocate of your brand, they must first develop loyalty to your brand. Whether it is a consumer, an employee, or even a trusted partner or vendor, there is something that sets each of them apart from the others. Individuals who are loyal to your company will only look at your brand when they are in need of your product or service. When you think of athletic gear; Nike, Adidas or Under Armour may come to mind. What about fast foods? Which food establishments first come to mind when you’re hankering for a good burger, taco, or pizza? Whatever people think of first, it’s probably the brand they have the most loyalty to. If what they are looking for isn’t available, they would rather wait than buy from a competitor. How do You Incorporate Advocates into a Marketing Strategy? After successfully identifying brand advocates, it’s time to incorporate them into the overall marketing strategy. Remember, the goal is not to force anyone into being an advocate for your brand. You merely want to influence their desire to continue promoting the brand; its services or products. Don’t hesitate to acknowledge the advocate and show you notice their loyalty. Acknowledgments can be as simple as mentioning their name in a comment or creating a social media post and tagging their user handle. You can also reach out to the person with an email or via social media direct messaging to say thank you for the support shown to the brand. For employees, if you’re in the same location, stop by and say a personal thank you. You could also mention the individual in the company newsletter. People love being recognized for their efforts. By acknowledging their commitment to the brand, you are ensuring they will continue to speak favorably about the business in the future. How do You Reward Brand Loyalty? Brand advocates do what they do because they love your brand and want to tell others about it. It is not a paid position, and it’s not because you’ve solicited them to talk about you. This doesn’t mean that you shouldn’t reward their efforts. Everyone loves perks so give your brand advocates advance buying power. Offer early access to upcoming sales, discounts others don’t receive or extend free shipping on purchases. Another perk is providing free brand merchandise gift boxes. Don’t limit their ability to talk about your brand to social media alone. Provide t-shirts, hats, or other gear that can expose your brand to others. If you are a mid-size or a large corporation, consider inviting brand advocates to participate in a roundtable discussion to provide feedback on the company and its services. You can give a sneak peek of a new product or provide a tour of your facilities. Of course, you are footing the bill, so the VIP treatment is in order. Are You Ready to Leverage Your Advocacy Power? In today’s world of digital-driven social media, traditional marketing techniques aren’t always effective, or effective on their own. Having everyday people promote your brand gives it immeasurable reach. The top 5 reasons to leverage your Brand Advocacy? Learn who your brand advocates are by measuring who is sharing your content and why. Then enjoy the benefits received from the power of increased advocacy. Now that we have you thinking about a new strategy for your existing digital marketing strategies, let’s talk to see how we can help you grow your brand. Whether you’re using the power of your advocates or other undiscovered concepts, Back2Basics can help you fill in the gaps of your existing strategies or help you implement and manage new ones.